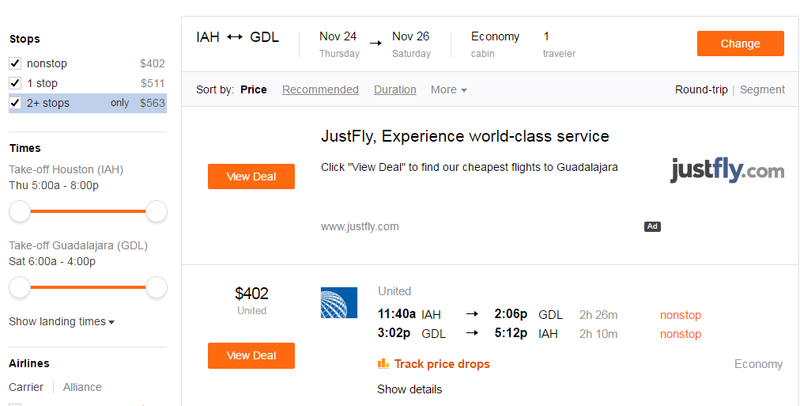 One of the more annoying facets of flight pricing is that for the most part, it is dynamic. What this means is that prices can change at any time, without any rhyme or reason other than the logic used by the airline’s programming/coding. This makes it extremely frustrating to know when to buy a ticket, and there is all kinds of misinformation about certain days in the week or times to book tickets, but here I will go over one valid method I use to track prices. There are two methods I use to track flight prices: One is Hopper, an app which gives you prices based on dates and destinations, and the other is Yapta, which tracks exact flights. Depending on your situation, you can use one or both. Here, I will go over Yapta. Yapta is a tool that is run by Kayak. Basically, what you do is search for flights as you would anywhere else, and if you want to track the price for that flight, simply click the track button under the flight. You can have alerts sent to an e-mail address, I set my e-mail address as one that would send me a text message immediately. Note that the prices on Kayak may not match the prices on the official airline website, but regardless when a drop takes place it generally means that the price dropped on all air channels. I’ve used this method successfully many times over the last year to book tickets for destinations that I was interested in going to. The timings all over the place, I’ve received alerts in the afternoon and the middle of the night. If you’ve never used the tool, the first step would be to go to the JOIN page, and make an account. 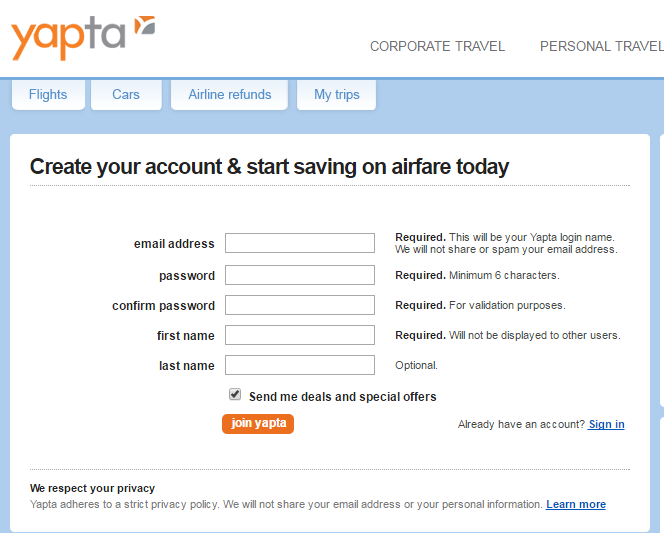 After this, click the flights button and begin your flight search. 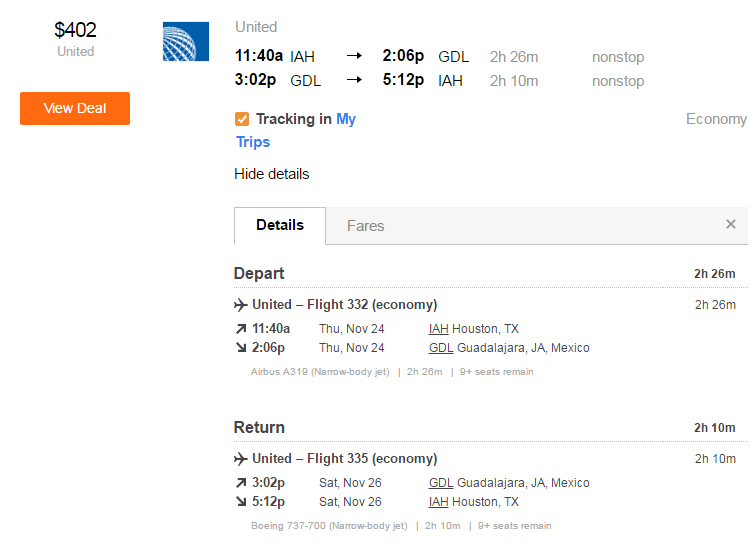 Here I will search Houston to Guadalajara for November 24 to 26. Note the track price drops button, simply click this button and your flight will be tracked. You can click My Trips and locate any trips that you are currently tracking. 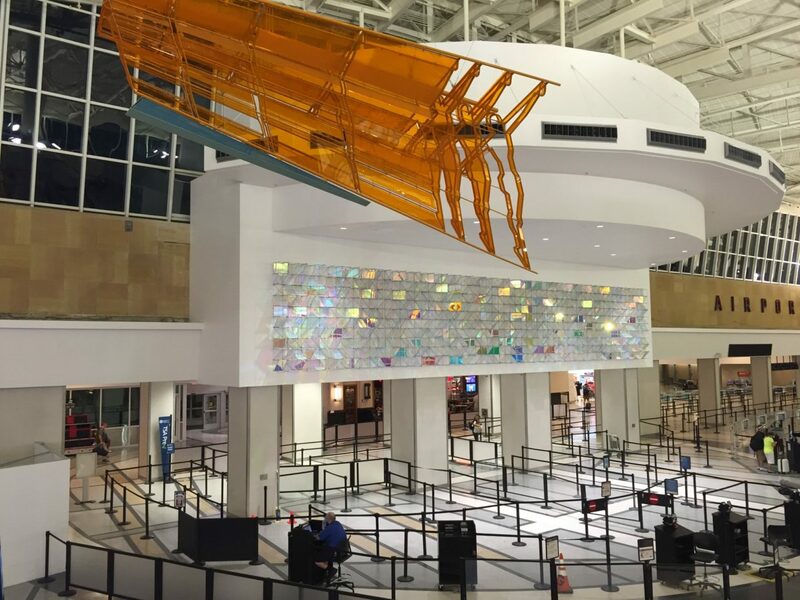 This is a simple method to track flights that you have your eye on. Google has a similar method, but I have not used it because it requires you to sign up for Google Now, which I didn’t feel like doing. That being said, it gets rave reviews from those who have used it. Next time, I will give a tutorial regarding Hopper, which is an excellent app that tracks flights prices for all options on particular dates, not just certain flights you select.